Looking for a great storage unit? Look up. Multi-level storage facilities are becoming increasingly prevalent. All Storage has been at the forefront of building multi-level storage facilities that literally take the idea of vertical space to new heights. 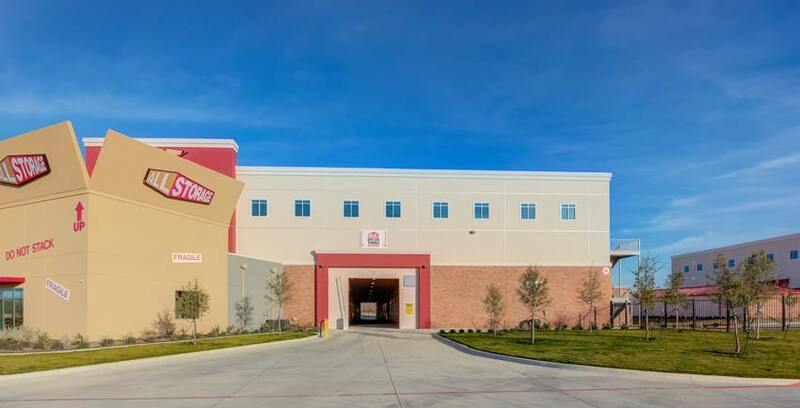 If your idea of a storage facility still looks like a few rows of units surrounded by pavement, you might be wondering what’s so special about the multi-level version of self-storage. Here’s what you need to know about renting a storage unit at an All Storage facility that offers multi-level storage. Have you ever had to move in the rain? Trudging through those puddles can—pardon the pun—really dampen your spirits, not to mention completely soak your stuff. A multi-level storage facility means indoor self-storage. Whether it’s scorching and sunny or icy and cold, you don’t have to worry about the weather while you’re loading or unloading your storage unit. Renting at a multi-level storage facility keeps you and your items safe from the elements. Because multi-level storage facilities are built from the ground up, there are plenty of storage units available for you to choose from. This is especially true if you’re looking for self-storage in an urban area. Densely populated cities often don’t allow for sprawling storage facilities to be developed. Fortunately, the creation of multi-level storage facilities has made it possible for All Storage to offer you a wide selection of storage unit sizes and features without creating a wide footprint in the community. What’s better than a wall around your possessions? A second wall around that wall, of course. Multi-level storage facilities are inherently more secure than drive-up, outdoor facilities. Not only do you have the safety that comes with a locked storage unit, you have the added piece of mind of knowing that that unit is inside a building that’s designed to be only accessible to tenants. Factor in great lighting, surveillance cameras and a dedicated team of self-storage experts who care about keeping your stuff safe and you’ve got one secure storage situation. As we mentioned, multi-level storage facilities are especially popular in metro-areas where land development is limited. The vertical space of a multi-level storage facility is a great solution to this problem. As a result of the unique architecture of these facilities, they may not always look like storage facilities. All Storage has solved this problem by creating an easily identifiable landmark in the form of a giant cardboard box. When you see this, you know you’re in the right place. Did you know that All Storage offers EZ Drive-Thru storage? This is a huge benefit of choosing a unit in a multi-level storage facility through All Storage. You don’t have to sacrifice the convenience of drive-up access for the security and protection of indoor storage. Simply drive into the building where you storage unit is located, park, and unload. When choosing a storage unit at a multi-level All Storage facility, think carefully about where that unit is located. Depending on what you’re storing and how often you’ll be visiting your storage unit, you may want a storage unit located close to the elevators. You may prefer a first floor unit so that you don’t have to use the elevators at all. Or you may want to maximize safety by opting for the highest floor. Take the time to consider all available storage units instead of just choosing one at random. Future you will be grateful.